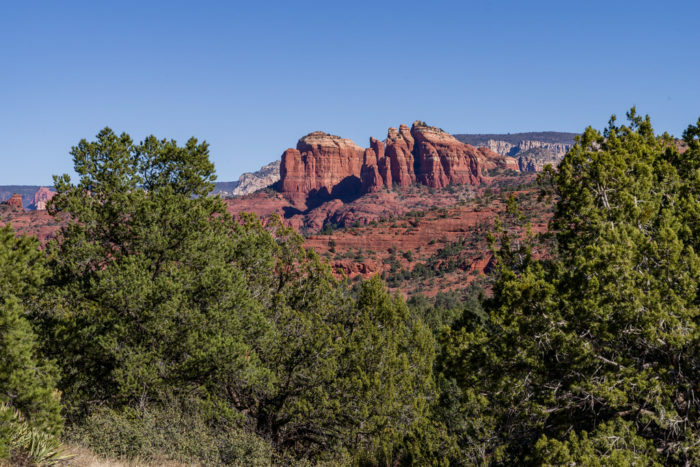 Finding a quiet hiking trail these days is tough work, especially if it’s anywhere near popular tourist areas such as Flagstaff or Sedona. However, they do exist! 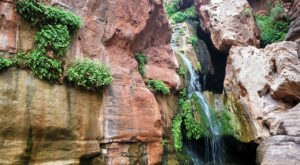 Let’s take a look at one located near the Village of Oak Creek in the Verde Valley. 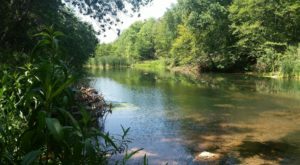 Turkey Creek Trail is a 3.4-mile trail (almost 7 miles over and back) that sees light foot traffic. It features some lovely views and a different perspective of the Verde Valley. 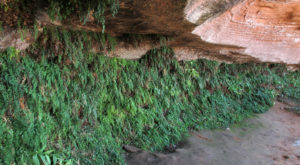 Most of the trail is unshaded but easy to follow and features a moderate incline towards the end, making this a doable hike for most visitors. You’ll find some pretty views of the landscape during your hike, like House Mountain, Wilson Mountain and Secret Mountain. 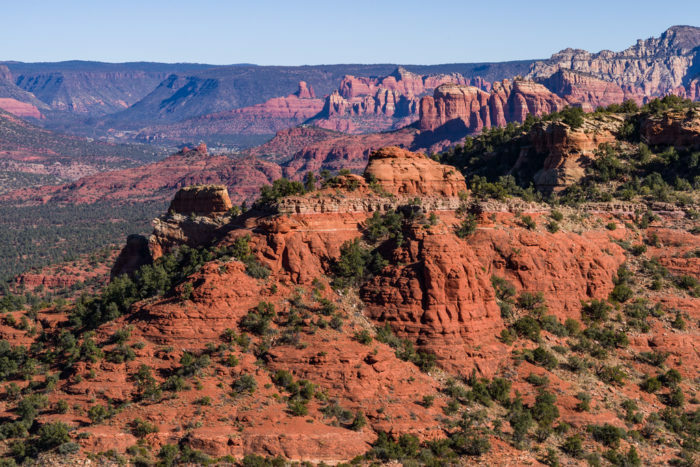 If you hike the trail in its entirety, then plan to take 3 to 4 hours to hike, depending on your speed and how often you plan to stop for photos. 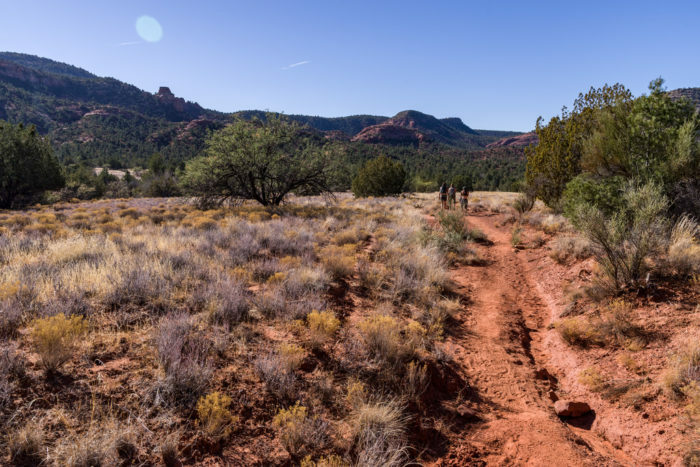 The trailhead is also located a short distance from the entrance to Red Rock State Park, where you can find even more hiking trails to enjoy. The east gate access is about 0.25 miles from the trailhead but keep in mind you'll need to pay the entrance fee to access the park. 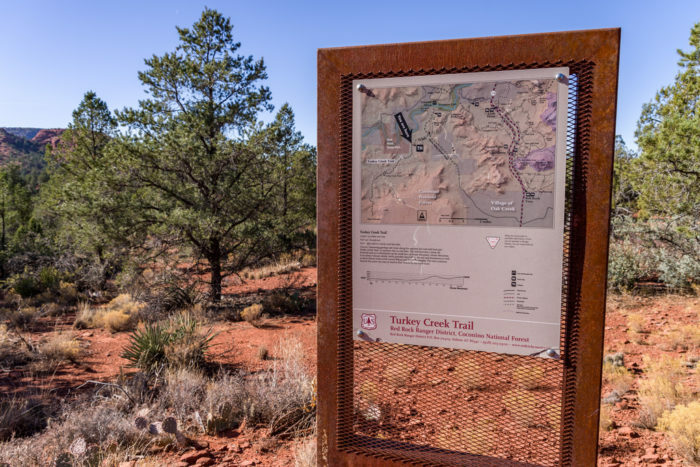 The trailhead for Turkey Creek Trail is located about 4.5 miles west of the Village of Oak Creek, via Forest Roads 216A And 9892. 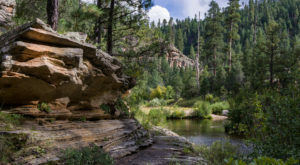 You can find details about accessing the trail and a map by visiting the National Forest Service website. 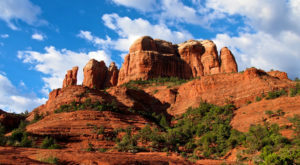 Looking for another scenic hike in Arizona? 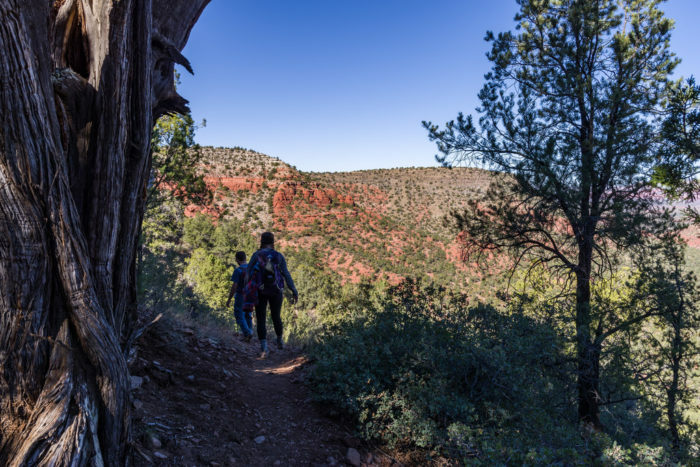 If you’re looking for one that’s a little shorter but just as pretty, you’ll want to check out the Tunnel Trail on the Mogollon Rim. 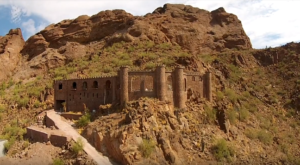 Read more in The Amazing Hiking Trail In Arizona That Takes You Through An Abandoned Train Tunnel.